In embarrassment and shame I slowly approached the throne of the Holy One. I keenly felt the poison from sting of guilt working its way through my mind at the thought of making my request known. 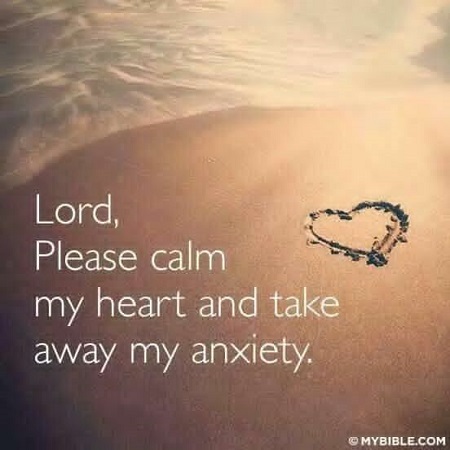 Hesitantly I proceeded to present my request, “God please show me your love” which would become a prayer I wouldn’t regret making in my timidity. It reminded me of this situation “Then Gideon said to God, ‘Do not be angry with me. Let me make just one more request. Allow me one more test with the fleece, but this time make the fleece dry and let the ground be covered with dew.’ And God did so that night. It was dry on the fleece only, but there was dew on all the ground." Judges 6:39-40 Like Gideon who after multiple evidences that God had called him for a great task was still asking for a sign if he really was called by God- yet begging God not to be angry if he checked again to make sure, I really wanted more solid proof of God’s love although it felt wrong to ask God to give it on top of all the other signs He gave. Yet I still asked. Like many whose childhood authority figures were questionable when it comes to love, the understanding of it or acceptance of it wasn’t coming easy. I knew the Bible verses, and what the Rabbi said, but there was still a disconnect between information like “The Lord has appeared of old to me, saying: ‘Yes, I have loved you with an everlasting love; therefore with lovingkindness I have drawn you.” Jeremiah 31:3 and my view of God, but I didn’t know how to fix it. In my mind I was like, yes I know God is good but in my heart I was totally giving God the side eye like hmm…yeah…okay then, I’ll just trust your “love” from a safe distance over here in my emotional bomb shelter, but don’t worry I can still trust you though... over here. I was ashamed to admit it although God already knew it so I wasn’t about to “get in trouble” by pointing out I needed more help. Yet, as God patiently answered Gideon’s wish mine was answered as well-even if I thought it may have been annoying. Soon thereafter, I was going to be taking a flight to Florida for a Sukkot retreat. That alone should have shown me God’s love since I wanted to go to the Sukkot retreat for a while but never did, until God granted me the financial means for this opportunity but that wasn’t all. I am pretty sure the time of my registry was past the due date but room was still made for me by someone. After my mom dropped me off at the airport and went to park the car she never returned in time to see me off (I later found out she got lost). I was nervous about flying alone for the first time, so I just asked God to go with me. I was particularly nervous because I had to change planes since the flight wasn’t direct, but on the first flight I met a kind lady named Sandy who wasn’t just on my first plane but was going to be on every connection flight with me to me final destination. I noticed on my next ticket the gate to my plane wasn’t specified which could have caused a lot of anxiety, yet she helped me find the appropriate gate and pointed me in the right direction. And after successfully arriving in Florida she even showed me where to go to get my rental car. It was very helpful, but unfortunately I wasn’t totally relieved from that point on. The I noticed car drove differently than the one I was used to, and I wasn’t very comfortable on the highways with my limited experience, and I ended up on a toll road where many cars were driving faster than me, and as you may be able to guess, I was rather nervous again. But a truck driving at reasonable spend ended up in front of me which I could follow a lot of the way to my destination. After getting there I shared a room with a very nice lady at the retreat who came to help me when I temporally felt unwell (and stressed about feeling unwell) and kept me company. People included me in the games and when my flashlight stopped working a kind person gave me his flashlight so I didn’t have to walk in the dark at night. On the way back home I also meet some nice people who were willing to help me find my a much needed my flight, after someone helped me when I lost my ticket-but amazingly I wasn’t too panicked about losing it even before knowing how things would be resolved at that point. Those people who helped me find my way may not have known that they were not just pointing me to a correct physical location and some may not have even known they were helping at all, but seeing the love and kindness of God in the people pointed me to the most important destination-God’s heart of love. While I didn’t see God physically sitting beside me caring for me or making sure everything would be all right, I saw God’s love for me and evidences that I wasn’t traveling alone through life in how God could use various circumstances and people to help me find my way even if I don’t know who, how or what would help. And the fact that God can use so many ways to help proves God isn’t limited in his ability to help, and that it is truly God not people who remains consistent so there is no need to be afraid when circumstances change because God never will. If you feel a hole in your relationship with God don’t be shy to ask Him for help because without Him you can’t do anything anyway. God already knows where you stand, and He is more than willing to help you stand with Him.